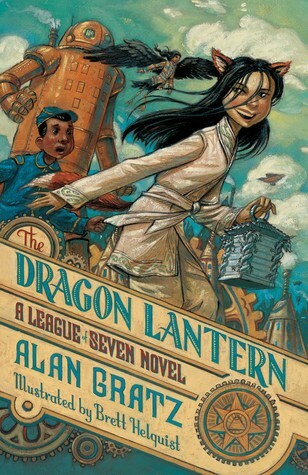 The Dragon Lantern (League of Seven, 2) by Alan Gratz, June 9, 2015. 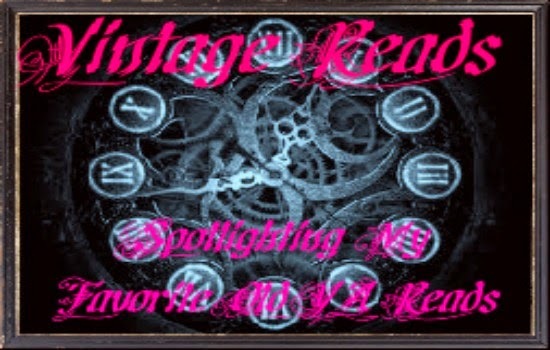 Published by Starscape. Archie Dent is convinced that he and his friends Hachi and Fergus are the first three members of a new League of Seven: a group of heroes who come together to fight the Mangleborn whenever the monsters arise to destroy humanity. His belief is put to the test when they are forced to undertake separate missions. Archie and his faithful Tik-Tok servant Mr. Rivets pursue a shapeshifting girl who has stolen the Dragon Lantern, an ancient artifact with mysterious powers. And Hachi and Fergus travel to New Orleans to find Madame Blavatsky, the only person who knows the circumstances surrounding the death of Hachi’s father. Why: After finally reviewing The League of Seven this week, I was reminded that I completely forgot to see when book two comes out...turns out it was this past summer... So, I'm definitely in need of The Dragon Lantern because things were just beginning to take shape and there were, how should I put this, a cliff-hanger or two that I demand answers, too!! 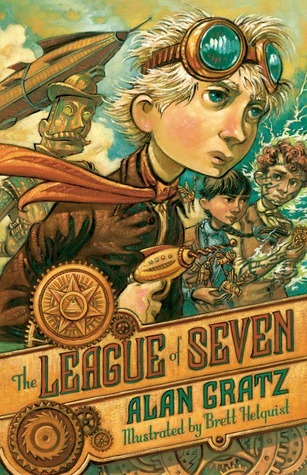 The League of Seven (League of Seven, 1) by Alan Gratz, August 9, 2014. 352 pages. Published by Starscape. Source: Library. Young Archie Dent knows there really are monster in the world. His parents are members of the Septemberist Society, whose job it is to protect humanity from hideous giants called the Mangleborn. Trapped in underground prisons for a thousand years, the giant monsters have been all but forgotten -- but now they are rising again as the steam-driven America of 1875 rediscovers electricity, the lifeblood of the Mangleborn. When his parents and the rest of The Septemberists are brainwashed by one of the evil creatures, Archie must assemble a team of seven young heroes to save the world. The secret entrance to the headquarters of the Septembrist Society could only be reached by submarine. 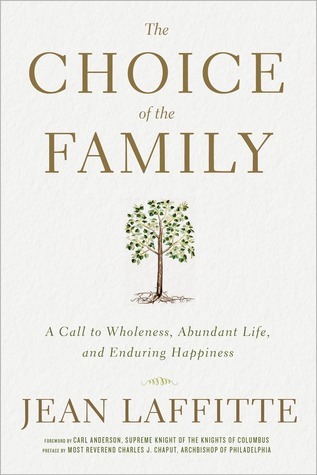 Choice of the Family: A Call to Wholeness, Abundant Life, and Enduring Happiness by Jean Laffitte, Setpemeber 1, 2015. 192 pages. Published by Image. Source: Blogging for Books. In this series of interviews and reflections, the Head of the Pontifical Council on the Family at the Vatican focuses on the intricacies of family. Bishop Laffitte provides theological and practical insight to deepen our relationships with our parents, children, brothers and sisters, and, ultimately, God. The Choice of the Family stresses the importance of the family in the twenty-first century. and issues a call to action for everyone to reinvigorate the teachings of Jesus in his or her day-to-day life. 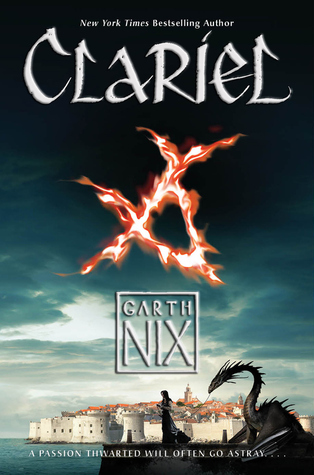 Clariel (Abhorsen, 4) by Garth Nix, October 14, 2014. Published by HarperCollins. Why: I may be still catching up on the series, but if books 2&3 are anywhere near as good as Abhorsen was then I can assure you that I will be needing to get my hands of Clariel. I'm sure I'll love the rest of the series since Garth Nix is, in fact, one of my favorite authors!! 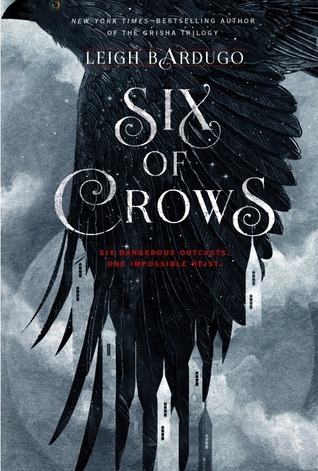 Six of Crows (Six of Crows, 1) by Leigh Bardugo, September 29, 2015. 465 pages. Published by Henry Holt & Co. Source: Library. Serpentine (Kingdom of Xia (second series), 1) by Cindy Pon, September 8, 2015. Published by Month9Books. 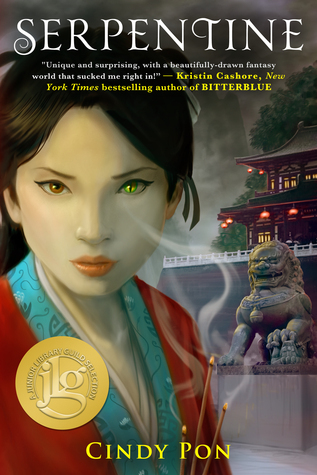 Why: The fact that Serpentine is by Cindy Pon is reason enough for me to be "wishing" for a copy of her newest book. 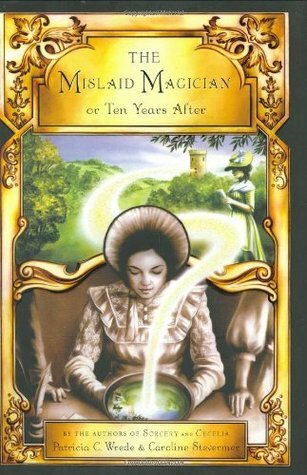 Her writing, world building, and characterizations are so incredible that I am beyond in need of this book. Porridge is my Aunt Beck's answer to everything. I don't know what happened this year but there were some really bad books out there. There's just no other way to put it then the fact that I had a run-in with some not so great titles. Seriously though, I'm pretty sure this has been my worst year for books with no 5-star fictions reads and 11 (yes, eleven) DNF'd books. Some of the books that I ended up not finishing were one's that I decided to, against my gut feeling, give a chance. I thought maybe I was just being prejudiced against them by not at least giving them a shot. No. JUST NO. I should have never even cracked open the cover of some of these. While I may be smirking over my folly in book choices now, there were some that I wasn't even able to make it more then ten pages in. My biggest problem with a lot of the books I cut loose were that the stories were just bad and poorly done. 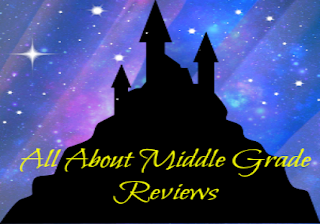 I didn't like the concept, characters, writing, or the underlying messages of the books. Some of the books were so infuriating that I wanted to fling them across the room. Sorry to say that I could not do that since a good chunk of them were, thank goodness, library books (not sure I would want to explain that kind of book damage to the librarians). To be honest, I was so disappointed in many of these, especially since there were some of them that I was really excited to read. The rest of them, well, let's just say that curiosity won out a few times and led me astray. No, I will not be linking to or mentioning the titles I DNF'd this year. 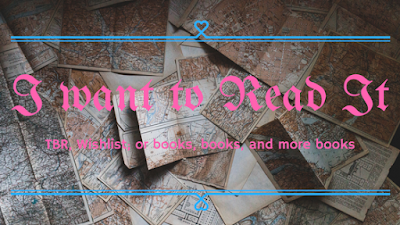 I just really wanted to vent and move on from the duds as the year draws to a close in hopes that next year will be full of bookish awesomeness. Though if you are curious, I have reviewed most of them and you can easily find them by searching the blog for "DNF". So, was it just me this year or did any of y'all see an increase in DNF worthy titles? Please, oh please, tell me I wasn't alone with the bad books!!! On a lighter note, now when a bad book is before my eyes I just so happen to see/hear this AMV C-Loathing in my head. It is awesome and definitely worth a watch and listen. 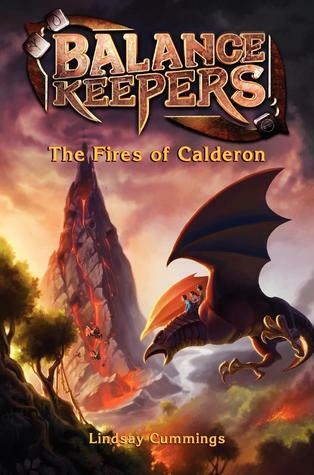 The Fires of Calderon (Balance Keepers, 1) by Lindsay Cummings, September 23, 2014. Published by Katherine Tegen Books. 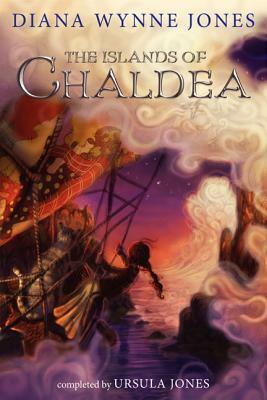 Why: I've actually had The Fires of Calderon on my want list for ages now, I just haven't managed to get my hands on a copy yet. The idea of balance keepers is what really makes me want to read it; that and the fact that I really enjoyed Lindsay Cummings YA book The Murder Complex. I believe it is well past time that I bugged requested that they purchase a copy. The railway lines are wreaking havoc with ancient underground magical ley lines, which could endanger the very unity of England. Meanwhile, Kate has her hands full taking care of all their children, not to mention the mysterious mute girl Drina, rescued from a kidnapper! The letters between Kate and Cecy, and between their husbands, blend magic, mystery, adventure, humor, and romance. It was splendid to see you and Thomas and your boys again this fortnight past.